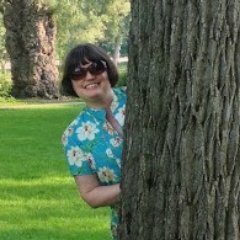 I'm sharing a recent project I put together when I was wearing an outfit short of a pocket. 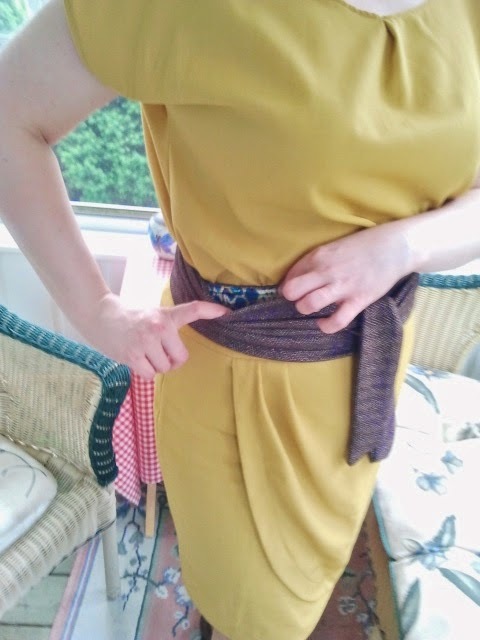 Here's my take on the ubiquitous Obi Belt, this time with a hidden pocket to store all those little necessaries like keys. I hope my free-form sewing makes sense to you! 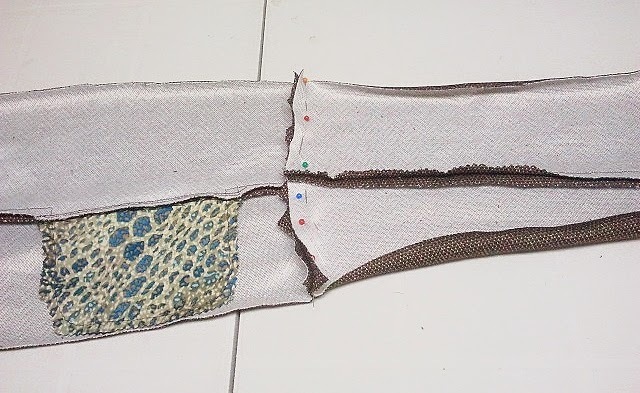 I started with a favourite obi from another dress, and traced around it, then split the "fat" front panel into a separate piece from the ties (to fit onto a regular piece of fabric). 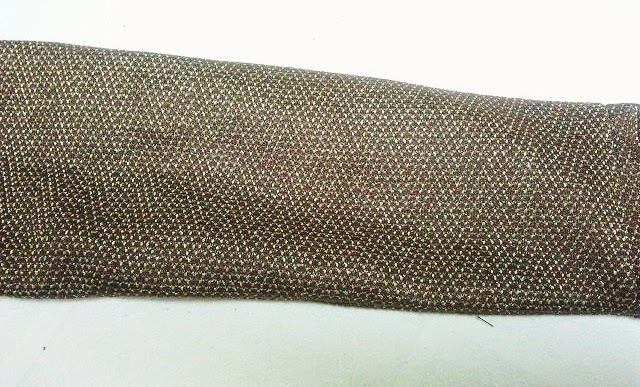 My original RTW inspiration was made from a stretch fabric, and I found this piece of heavier brown knit with a thread of gold in it and thought it would work beautifully. I bought 1/2 metre of 60" wide fabric, but you might want a slight bit more, as I ended up piecing the back of one of the ties. 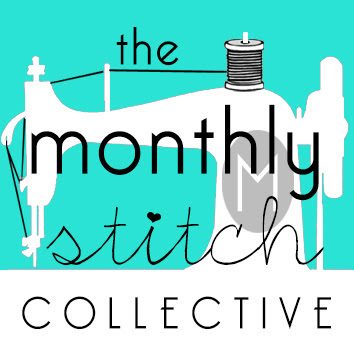 You could start with a more specific pattern, say Mimi G's downloadable version, or even the belt pattern from New Look 6120 or 6144, or anything similar that you may already have. You may have to make a few alterations to the pattern, though! 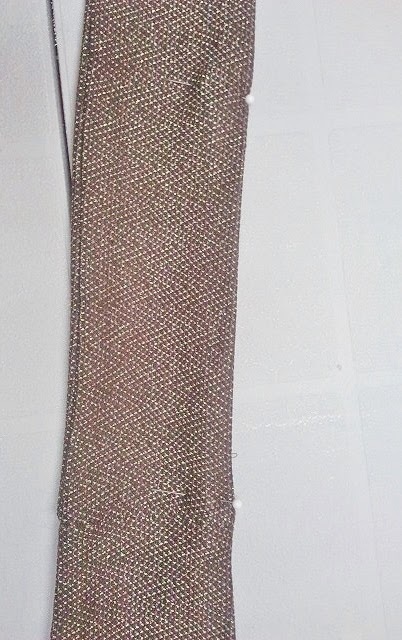 What you need to start is two pieces for the front panel, and four for the ties -- you could use only two for the ties if you have a double sided fabric that won't show a "wrong" side when you tie them, if you want. In that case, the final steps will be slightly different. You will always need two pieces for the front panel, though, so that you can sandwich in a pocket. Next you'll want to put a pin in the centre of one of the front pieces - just fold it in half and pin mark the centre. Use a piece of tissue or paper and place it about half way between the centre and the outer edge and draw a pocket shape. 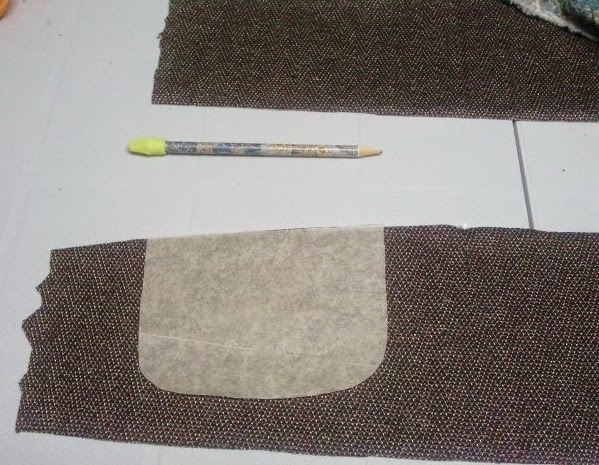 Make sure you leave enough room at the bottom to allow for the seam allowance (1/2 inch) and a bit of wiggle room. 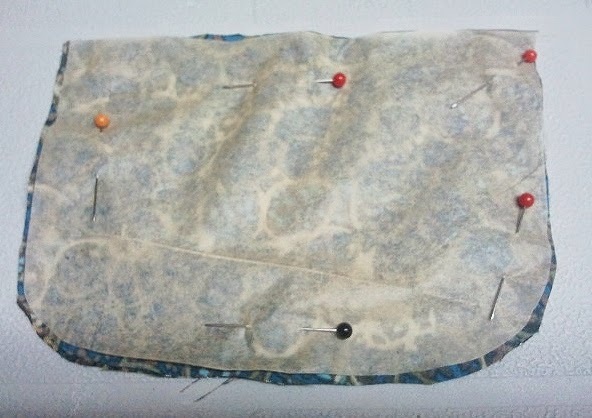 Use this pocket pattern to cut out your pocket pieces from scraps, right sides together. Pin one piece to the front panel, right sides together. Lay the other front panel piece alongside and pin mark the placement for the other pocket piece. Remember to mark this with the right sides of the front panel pieces together so that your pocket pieces end up on the same side! 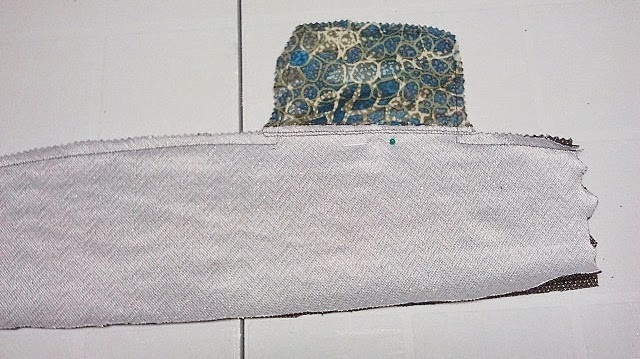 Flip the pocket out so that the front panel and pocket are both right sides facing up. Give it a press to smooth it out, and then understitch the pocket piece to help keep it from rolling out when you're wearing the belt -- this is a hidden pocket, after all! Do the same for both sides. 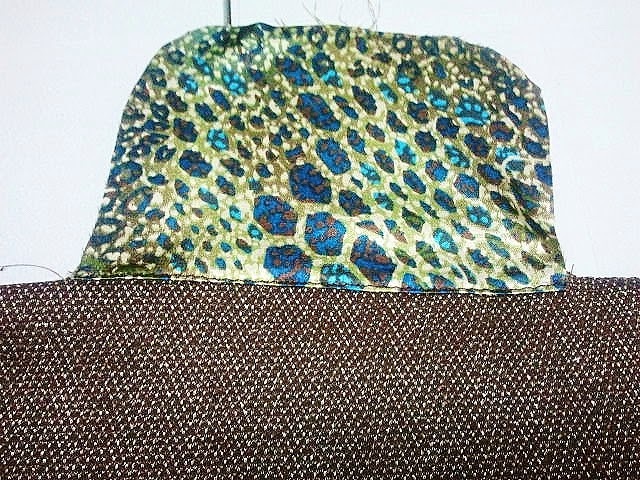 Pin the two front panel & pocket pieces together and sew with a 1/2 " seam allowance. 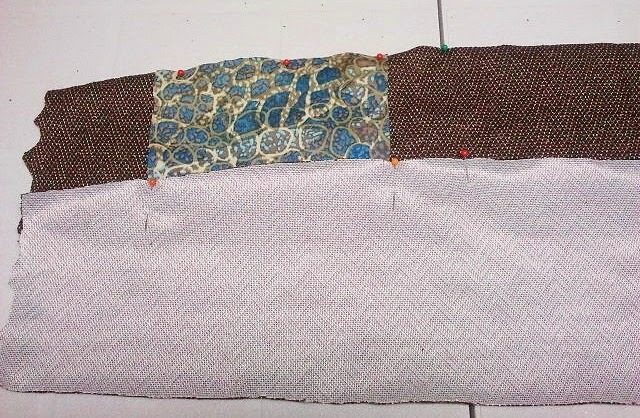 Stitch along the long side, pivoting and stitching around the edge of the pocket pieces and then to the end of the belt. Notice that you leave the pocket opening where the pin is in the photo. Trim the seams. 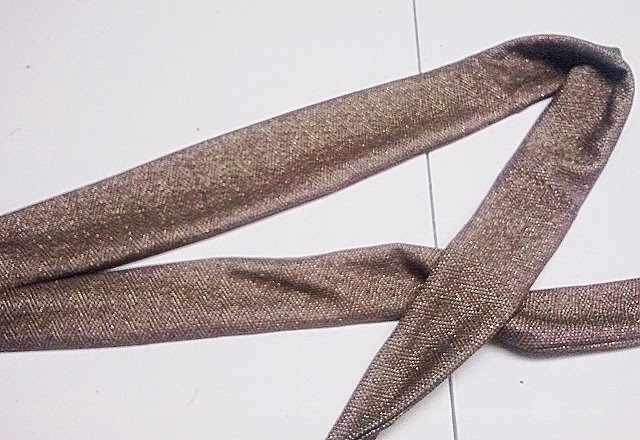 Fold right sides togeter and pin all the way around the belt, remembering to leave an opening to turn the belt. It's best to do this nearer the centre so that the larger middle isn't too difficult to turn through a really narrow tie end. Trim the seams and snip off the point of the ties, it makes it easier to turn and poke out the ties afterward. Carefully start pulling the belt inside/right-side out. You may want to use a chopstick to gently encourage the tie ends to turn out completely. Don't poke too hard! You don't want to jab through the fabric. Give it all a good press when done. You'll note the opening left between the two pins here that we've just used to turn the belt right-side out. 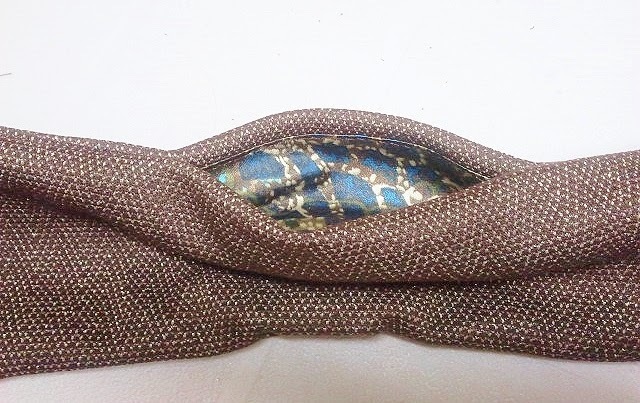 Depending on your fabric, you'll either want to slipstitch this closed by hand or if you are using a thicker, busy fabric like I am, that hides the stitching really well, you can just topstitch it close to the edge, turning in the seam allowances first. Ta Da! What a cute belt. Press it neatly and wear proudly. 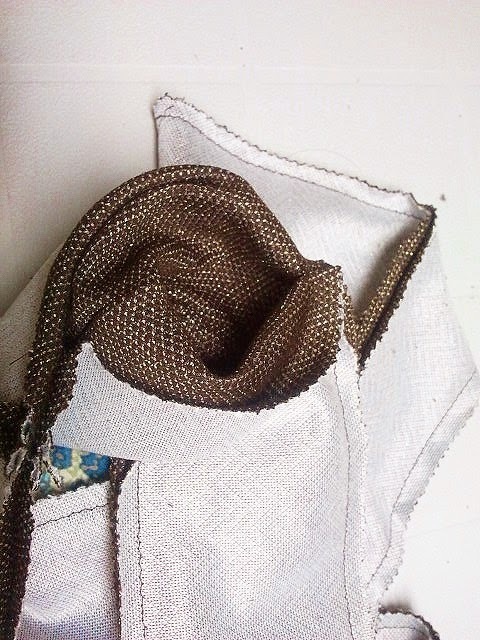 ***If you are using fabric with indistinguishable right & wrong sides and want to use a single layer tie rather than a sewn and turned one, your process will be slightly different. 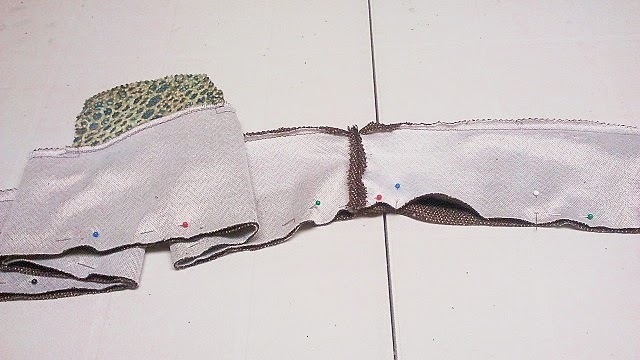 When sewing in the pocket, sew both long sides of the front panel closed, leaving the short ends open. 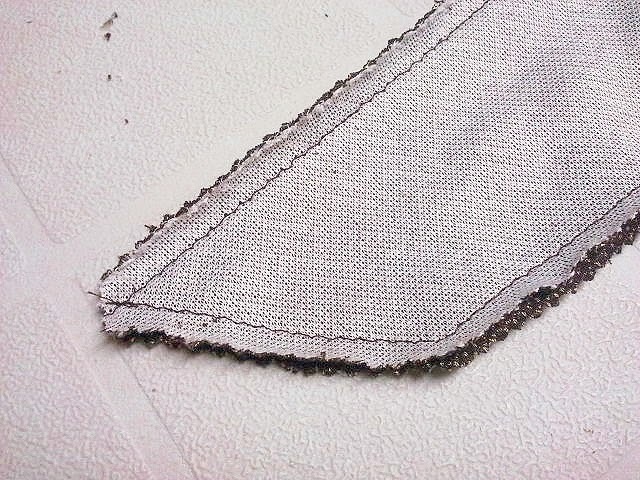 Press a 1/2 seam to wrong sides and turn right side out. 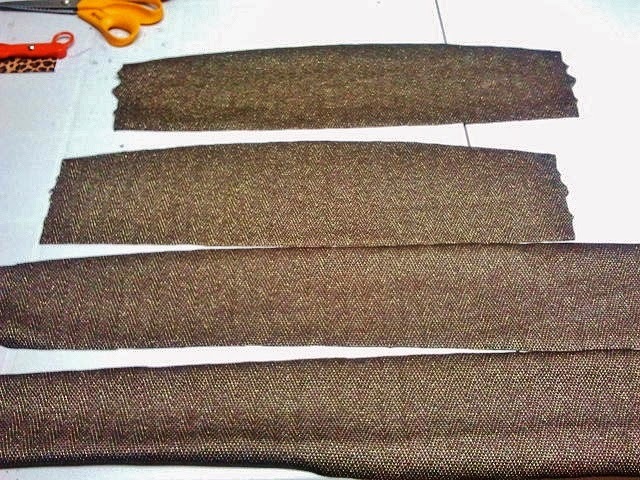 Slip in the ties (finish the edges first) to each end, pin and topstitch in place. A bit of a different look but also a bit faster. I've been looking for a way of incorporating an ipod pocket into an obi belt. brilliant, thanks! So glad you like it! Hope it comes in handy. Love the fabric you chose tot this project. Fabulous work!! 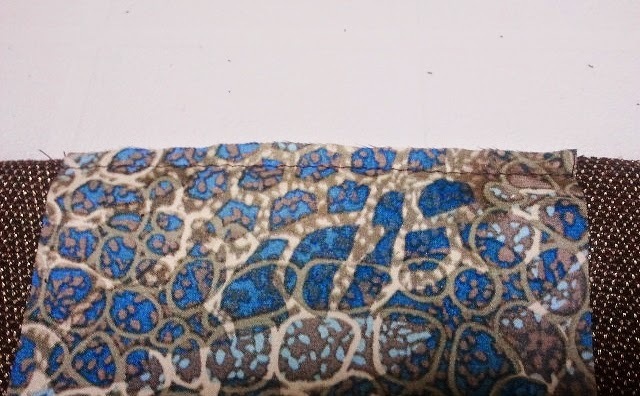 Thank you - it is a very nice fabric. Sturdy but not too much so. Wow, that was actually very clever! I think you got the right size for a sneaky little pocket – any larger and it would’ve required a zipper and wouldn’t be functional. Thank you for this belt tutorial, Melwyk!